At simply.food the month of March is dedicated to healthy eating this event is all about adding healthy seeds to your dishes .Feel free to prepare any vegetarian dish ( eggs allowed) with the addition of seeds to it and link it to this event. 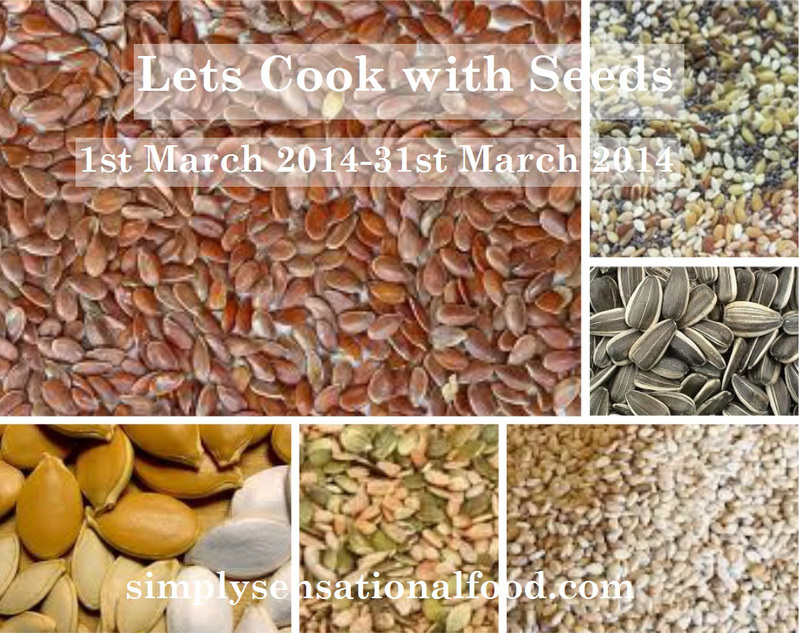 Some seeds that you can use are pumpkin, sesame, chia, flaxseeds, hemp seeds, pomegranate seeds are just a few examples. You can use any edible seed in your recipe. Nice thought . Happy Hosting . infos. I would ike to look moгe poss like this . More seeds. Thanks for this recipe. I put seeds in my breakfast daily. Excellent. Need more recipes with seeds in.